Master Cheat Sheet – The core concepts of the entire course in six-page super sheets. 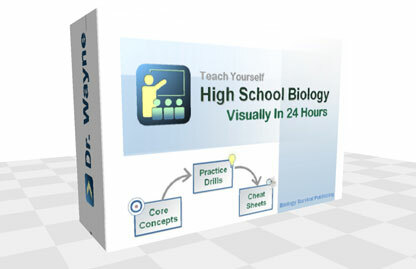 To preview the core tutorial, problem drill and cheat sheet on this High School Biology 24-hour visual series, click the link below to get instance access. This series provide simple yet easy-to-understand tutorials in flash movies for core concepts in high school biology – the ones that are fundamental yet difficult to master.